Aside from providing soothing comfort during treatment, sometimes heat can serve as a useful TCM healing tool. 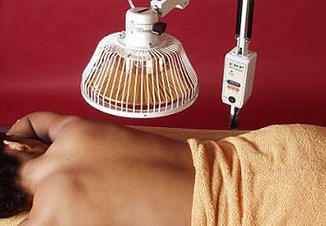 Heat therapy increases blood flow, which helps relax muscles and decrease stiffness. Depending on your medical needs, your acupuncturist may use an infrared light heat lamp or a heating pad to enhance the benefits of your acupuncture treatment.